Part 1 of SHE’s project to support Lorena Harp in establishing her own Haines solar cooker enterprise in Oaxaca was successful, with Lorena achieving the milestone of selling 50 Haines solar cookers through her local “solar cooking ambassadors” last month. Part 1 consisted of three phases. In Phase 1 (Jul-Nov 2017) Lorena conducted a community baseline assessment and prepared materials for her enterprise and monitoring and evaluation of customer solar cooker adoption and impact. In October, a magnitude 7 earthquake devastated Oaxaca, destroying infrastructure and slowing communications. Lorena assisted earthquake victims through solar cooking promotion and in other ways. In phase 2 (Dec 2017-Jan 2018), she hired four solar cooking ambassador candidates and trained them. During phase 3 (Feb-May 2018), these ambassadors sold 50 Haines solar cookers in their communities, becoming environmental leaders and earning a living through sales commissions. Their hard work has made it possible for SHE to win funding for Part 2 of this project, most of which will go towards subsidizing 200 more Haines solar cookers for Lorena and the ambassadors to sell. 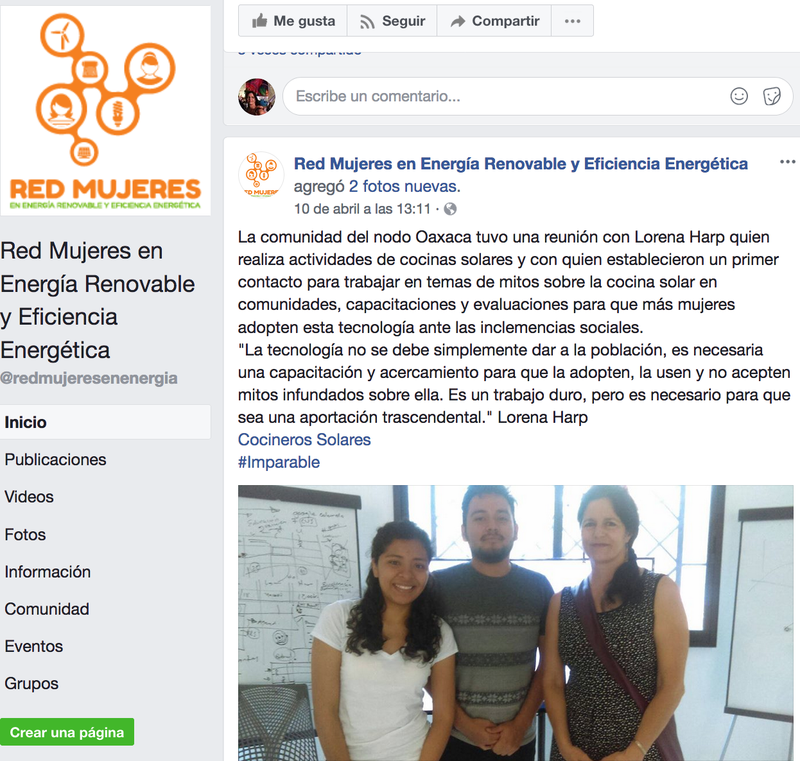 Lorena Harp (right) and her work promoted through twitter by the Network of Women in Renewable Energies and Energy Efficiency. 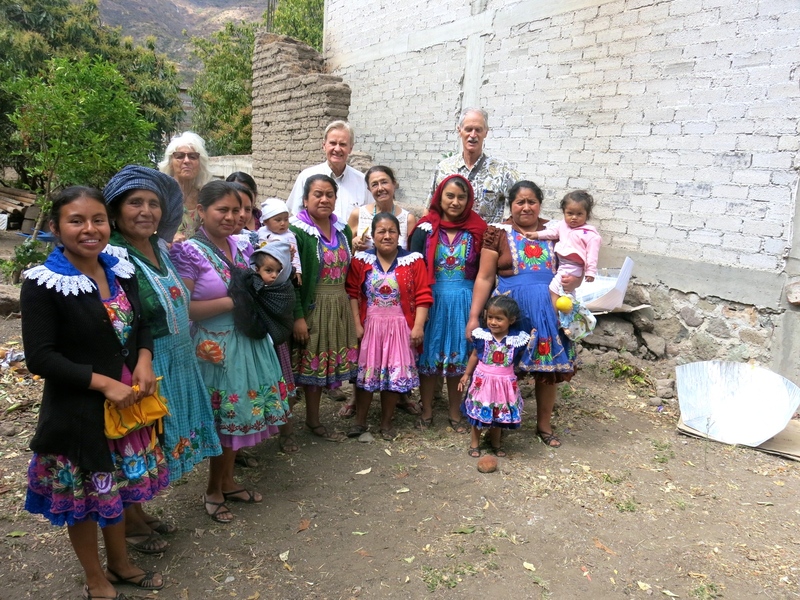 Oaxacan solar cooking ambassador Bibiana (2nd woman from right) with members of her community, welcoming visitors from Canada (back) and SHE Board member Margarita Battle (third from right in back). Bibiana has personally sold over 15 Haines solar cookers on commission (right) to members of her community.